For as long as I could remember, my cousin Bill Patti was always breaking my balls. He was a great guy, but he never missed a chance to bust my chops. Everyone called him “Big Bill.” He was just under six feet tall, weighing 250 lbs., with shoulders as square as a barn door. He was a retired Marine Corps sergeant, a veteran of Vietnam and Korea. In Korea, Bill had fought at the Chosin Reservoir. 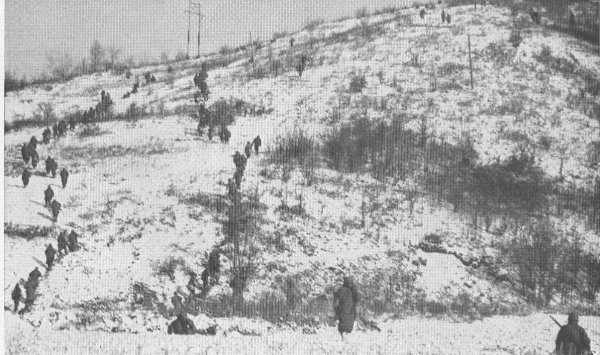 “The Battle of the Frozen Chosin” is regarded as one of the greatest battles in US military history — a few thousand American soldiers somehow avoided capture as over 60,000 Chinese regulars pursued them across the harsh terrain. Not all of those US troops made it home, but Big Bill did . . . just so he could give me a hard time. I went into the hallway, but when lifting the phone the only thing I heard was the dial tone. That’s when everyone began laughing. The phone that was ringing was on the TV program. Bill had made me walk into the hallway to answer a call that didn’t exist. He’d gotten me again. When he pulled this stuff, I’d always tell him that someday I was going to get even. But I wondered if I’d ever get the chance. A few years later, Bill developed a heart condition and he was scheduled to go in for triple bypass surgery. On the night before his operation I went to the hospital, and for the first time I saw Bill Patti scared. His eyes were watering as we shook hands that night. Bill did come through with flying colors, and the day before he was scheduled to be released I went to see him again. 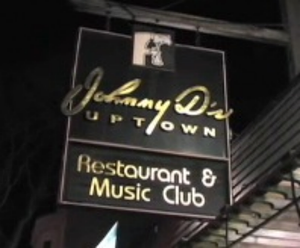 I was late getting to work after leaving the hospital and when I walked into Johnny D’s, two of our regulars were already sitting at the bar. Pam and Laurie, two nurses. They asked why I was late and when I told them I’d just come from the hospital, they asked which one. That’s when the idea struck me. After all these years, here was an opportunity to get Bill. The three of us came up with a plan as I worked the bar. The next day Bill had been OK’d for release and he was in the waiting room before being officially signed out. It was a bright, sunny room. Bill was there with his immediate family, along with two other soon-to-be-released patients and their families. I picture them all talking and laughing as in the background they hear the creak, creaking of small wheels being rolled down the hallway. Now there’s a cute nurse standing in the doorway. Pam Rowell is 5’ 2”, blond hair, blue eyes, and . . . let me be frank . . . she’s a large breasted little gal. I can see her standing there in her crisp white uniform. At her side is the white medical dolly that she had rolled along with her. Hanging from the dolly’s long arm at the top is a red bag. “No . . . no, I don’t need one!” Bill protested. Everyone in the room was looking at him. “I’m fine!” he said. “No . . . hold on,” Bill was so flustered he was sputtering, “I don’t need one!” Now he was desperate. No longer able to keep a straight face, Pam burst out laughing and it finally dawned on Bill what was going on. Bill could bust your balls until you wanted to choke him, but he would laugh just as hard when someone got him. I think he retold that story every time I was at his home for a holiday dinner. He told and retold that story until his heart condition finally got the better of him — I like to think he’s still laughing today. He was one of the greatest guys I‘ve ever known.